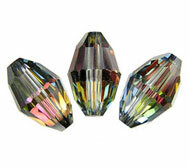 16x9mm Tube Czech Glass Lamp Work beads, Venetian style. Sold by piece. 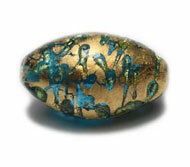 Color: Gold (color) foil mixed with aqua blue glass.